A self-consistent thermodynamic description of the Zn–Al–Cu–Mg quaternary alloy system is developed. The as-cast microstructures of key Zn–Al–Cu–Mg samples in the low-alloyed range are studied experimentally. These are interpreted by computational thermodynamic analysis applying both Scheil and equilibrium simulations. Contradictions concerning the variation of apparent fraction of primary (Zn) phase, the eutectic structure and visibly larger fractions of eutectoid structure with increasing Mg content can be resolved by these detailed calculations. 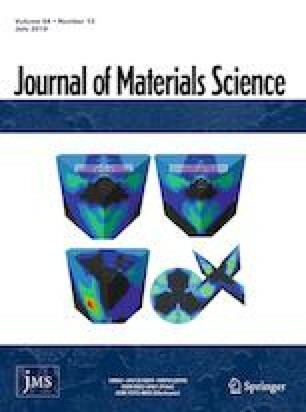 Two series of dedicated experimental work found in this journal on as-cast microstructures of such quaternary Zn alloys in the high-alloyed range, including also thermal analysis data, were also analyzed. The viability of this computational thermodynamic approach is demonstrated by providing a detailed analysis going beyond the explanations and interpretations in the original publications. The coverage of a larger Zn alloy composition range suggests a predictive capability of this approach. The authors gratefully acknowledge financial support by the Deutsche Forschungsgemeinschaft (DFG) within projects KO 4603/5-1 and SCHM 588/44-1.